We encourage and promote the appreciation, study, cultivation, development, and practice of the Arts in McLean County. In 1870, Mrs. Horace Smith established a studio and gathered a class of students in oil painting. In 1888, one of her students and three other members of the Bloomington Sketch Club were appointed to organize the Bloomington Art Association. Minutes of this organization were recorded through March, 1892. Following this period, a division of the Women's Club maintained community interest in art. A group of enthusiasts rejuvenated the Bloomington Art Association in 1922. The Charter was issued on April 6, 1922. Their purpose was: "To cultivate an appreciation of art in all of its branches, and to encourage civic improvements." The Russell Gallery in Withers Library housed the Art Association exhibits from 1922 until 1976. After the roof collapsed in Withers Library, the McLean County Arts Center began operating at 210 E. Washington Street in Bloomington. In addition to the exhibition schedule, art classes for adults and children and the Sales and Rental Gallery were added to the Arts Center programming. Facing the demolition of the rental building, the Art Association Board of Directors began looking for a permanent home. In the summer of 1979, the Arts Center moved to its present location. Purchase and renovation of the building at 601 N. East Street was made possible by pledges from the community. Having taken over the agency functions of the McLean County Arts Council, the Arts Center was now facilitating space, scheduling, and programming for all of the county's arts organizations. The Town of Normal granted official agency designation in 1991, and by the City of Bloomington, as well as McLean County in 1992. 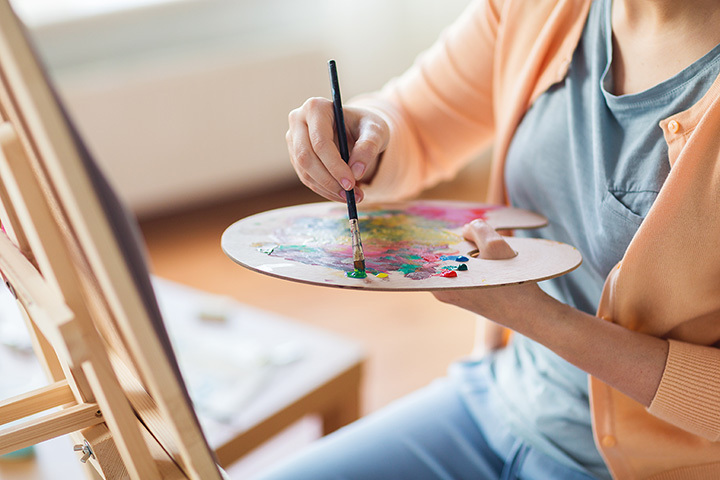 Currently the Arts Center presents approximately twelve exhibitions yearly, including the annual Holiday Treasures exhibition and the annual Amateur Competition and Exhibition which for over 70 years has showcased the best amateur artists from the region. The Center also offers art classes, artist lectures, art workshops for children and adults and associated performing and literary arts presentations. The community is also offered opportunities to purchase or rent artwork through the Center's Sales & Rental Gift Gallery. As the newly approved downtown Bloomington Cultural District takes shape, the McLean County Arts Center will be a central participant.